So….. you are thinking about purchasing the VX5000? It’s a great machine. It’s been THE standard for a while, and it’s fairly priced. 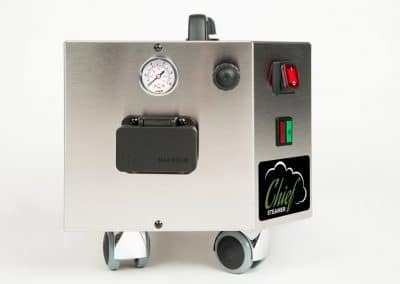 But before you buy that machine, we want to introduce you to the Chief Steamer Single Pro 75 and make the case that we have a very competitive machine at a better price. 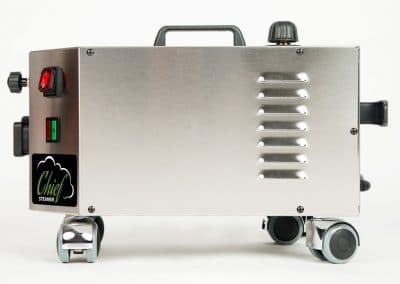 Quite simply, an excellent commercial steam cleaner with the some of the best specs in its class, with a “residential steamer” price tag. Once you compare ours to the VX5000 and the other popular brands, we believe you will see this will certainly perform as well or better than many of the others. Our heavy use customers prove it on a daily basis, as well as our warranty proves it. Anything really. 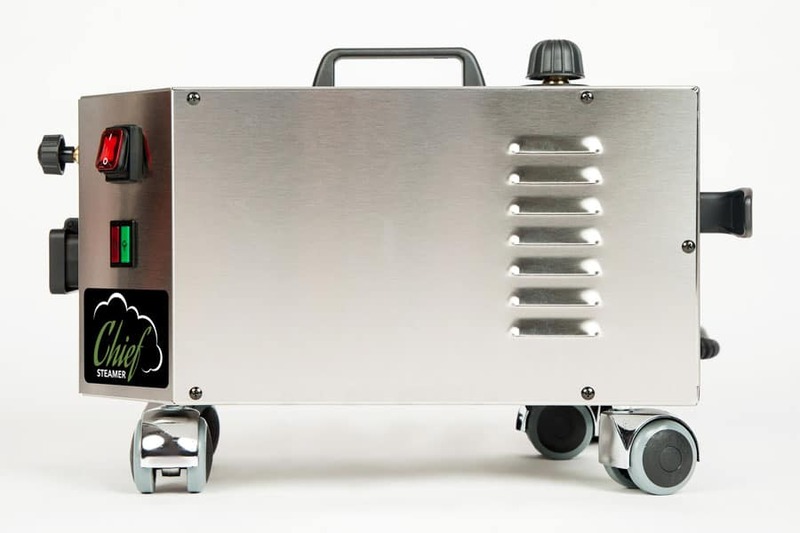 The pressure and the heat of this little workhorse will clean most anything. 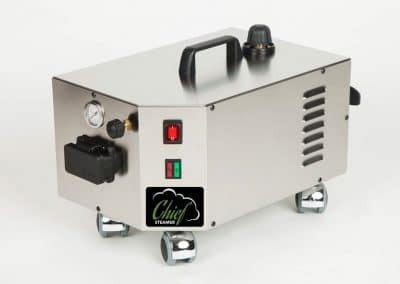 If you do not need a continuous refill steamer, this is the one to choose. There is plenty of heat and pressure for most jobs. 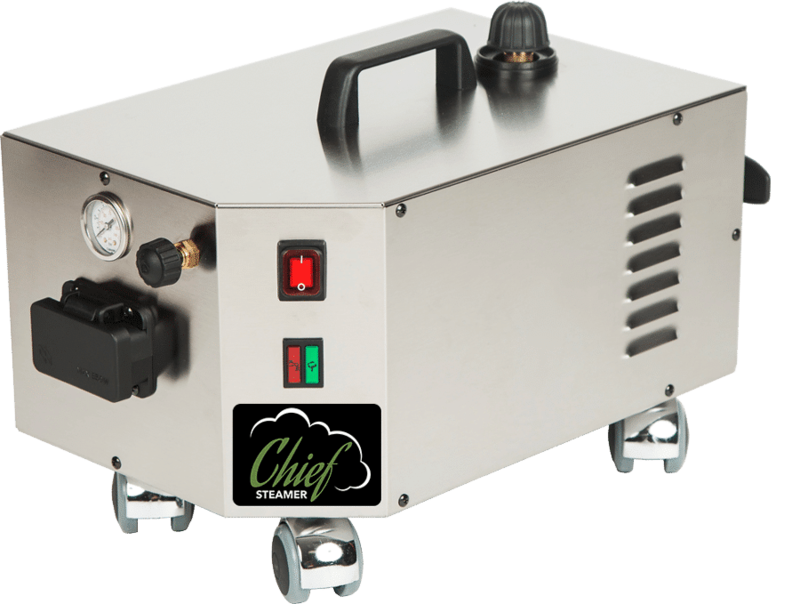 around the house, or on commercial jobs, this steamer will get the job done. Have peace of mind with a Lifetime Heater and Boiler Warranty. Free upgrade to 12 foot hose and 3 hole sprayer nozzle. Plus get a free squeegee. We also include a 3 year internal electrical parts warranty. 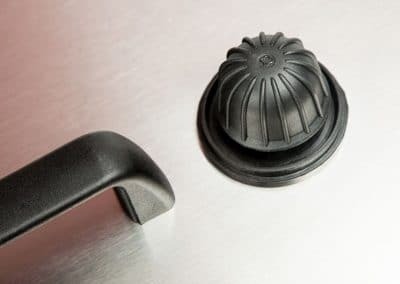 We always carry extra parts for sale as well. Let us make the case for our Chief Single 75 machine. Feel free to call or email us if you have any questions at all. Steam pressure settings –VX5000- 3 settings, low, medium, and high, electronically controlled on the steam handle. 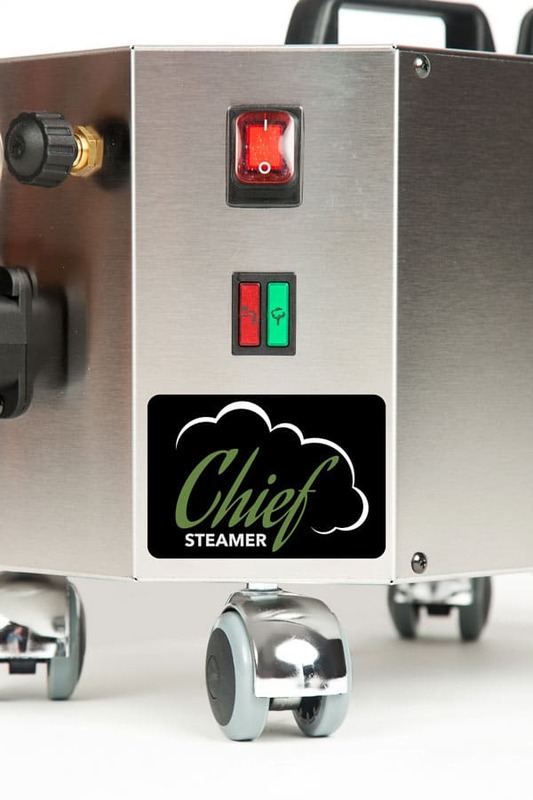 Chief Steamer 75 Single, infinite pressure adjustment. 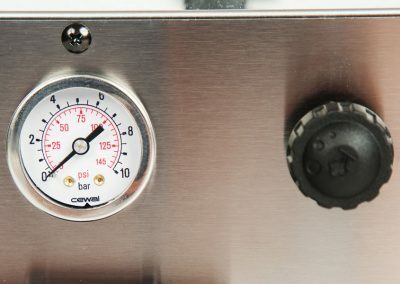 We use a regulator valve that delivers the volume and pressure from zero to full blast. YOU control it from the valve and we eliminate electronic solenoids. 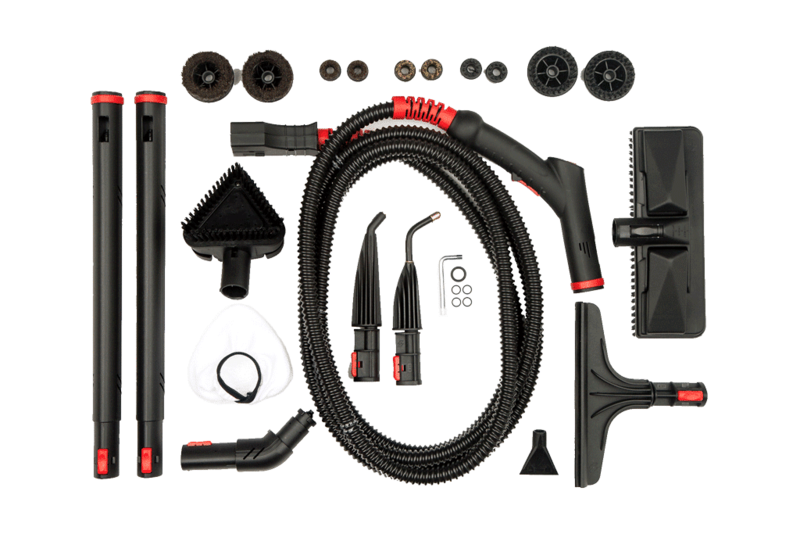 Attachments – Both VX5000 and Vapor Chief Single pro have similar common attachments for any cleaning purpose. We upgrade you as well with a very cool 3 hole nozzle to disperse steam better in certain applications. Water injection-VX5000 uses boiler water to force water into the steam hose. This is called “injection”. Its a nice feature. But it’s not a true injection system. The injection comes from water within the boiler. Robbing boiler water for this feature will greatly reduce steam pressure and run the boiler out of water quickly if used often. 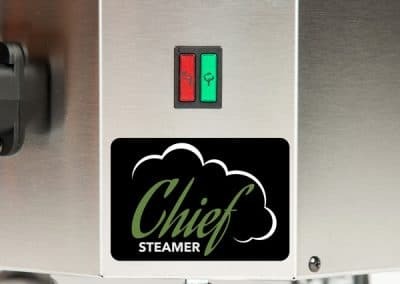 The Chief Steamer 75 Single does not have this feature and we feel you will not miss it So far, both machines seem to be neck and neck. 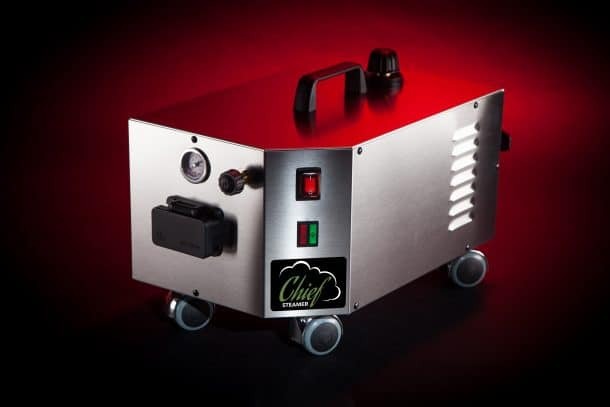 The Chief Steamer 75 Single has a little more heat and slightly more pressure which is always welcomed, especially for difficult steam cleaning chores that require a little more pressure. The Chief Steamer 75 Single uses a steam delivery system that not only provides great pressure, but also provides excellent steam “volume”. 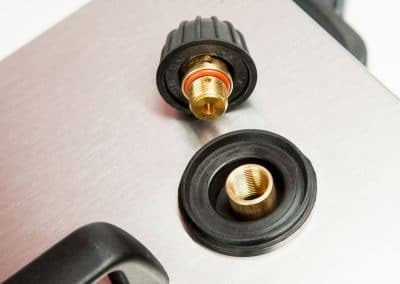 We do this by the size of the opening in the solenoid valve to deliver steam into the hose. We deliver both good pressure and volume and a great recovery time.